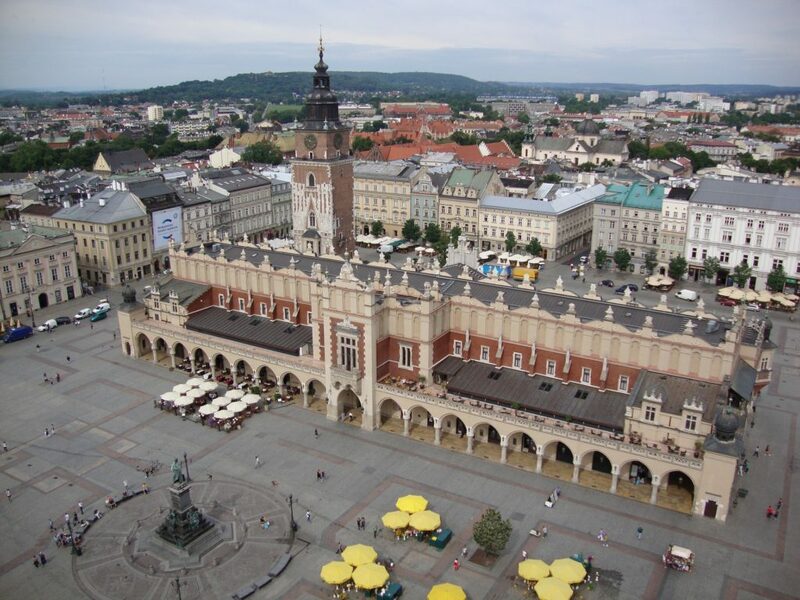 The Main Square is what Kraków is famous for. It’s one of the largest medieval town squares in Europe and it dates back to around 13th century. There are plenty of shops and restaurant around the area because it’s one of Kraków’s signature places. The pulse of the city beats the loudest in vibrant, lively area of The Main Square. All around the place, there are historic townhouses and churches. If you enjoy exploring the past, you’ll probably love it! 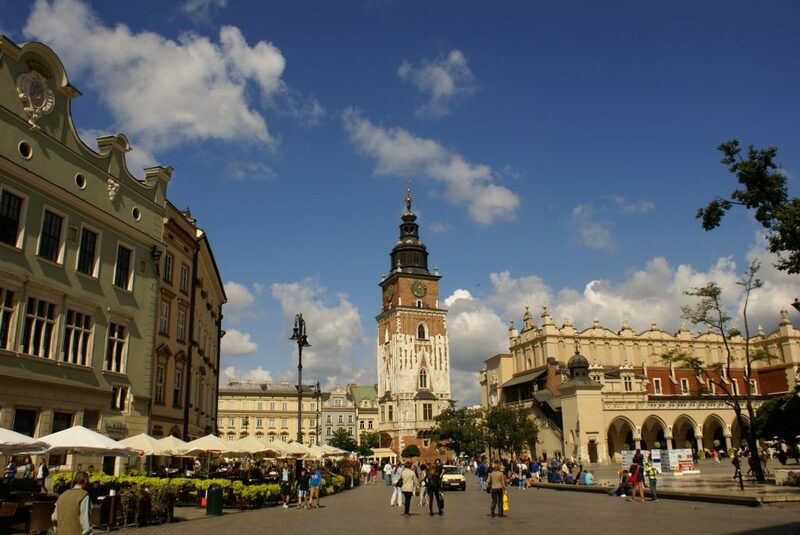 The main square – the touristic heart of Kraków! The Cloth Hall (Sukiennice), which has been a merchants’ trading place for years, is located in the middle of the square and makes one of the city’s iconic landmarks. Since you can still buy goods there, it’s always a good idea to visit it! While prices are higher there than anywhere else in Kraków, just taking a stroll around that historic building can be fun. After all, generations of merchants and buyers strolled around the very same grounds. 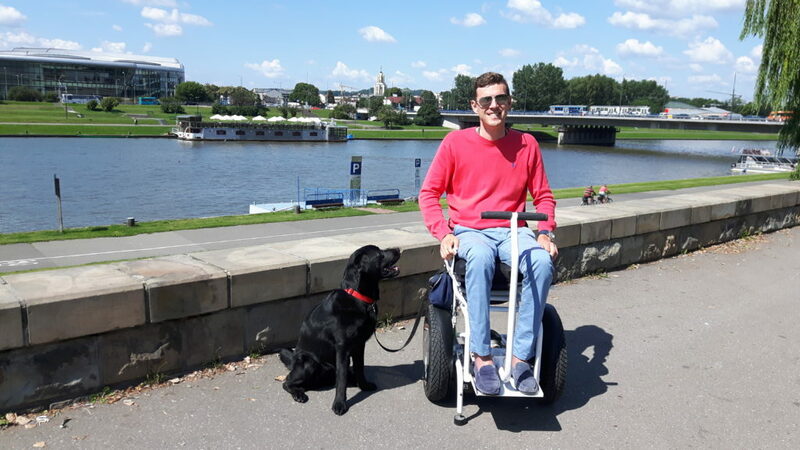 Navigating The Main Square in a wheelchair is not impossible, but it could definitely be much easier with an electric wheelchair. Manual wheelchairs could work, but with a lot of effort and possible stress. A city electric wheelchair like Blumil City should handle Kraków’s pavements with ease. Saint Mary’s Church is located in The Main Square, but it deserves a separate mention. It’s a gothic church, built in the 14th century, and it’s famous for the wooden altarpiece carved by Wit Stwosz. It’s a masterpiece of so-called sacred art, and it’s definitely worth seeing. Why? It’s rich in details and visually mindblowing, so let me just tell you: you have to see it for yourself! Since legends seem very much alive in Kraków, every hour you can hear a distinct a trumpet signal from the church’s tower. They play it in the memory of the 13th century’s trumpet player, who warned city inhabitants about the Mongol attack. He was shot while playing the instrument, but his dedication became immortal in Cracovian consciousness. In conclusion: Saint Mary’s Church is definitely a must-visit! Saint Mary’s Church (Kościół Mariacki)! The Wawel Castle is a castle residency, and probably one of the most important historic sites in Poland. Generations of Polish kings were crowned there, and many of them never left the castle, as their bodies forever lie at its premises. The Royal Castle has been a witness to many of historical events and has remained a popular travel destination for tourists from both native local and foreign tourists for years. The Castle Museum holds great exhibitions of numerous art pieces, including a grand oriental exhibition. It represents several architectural styles, and in 1978 it was declared a UNESCO World Heritage Site. 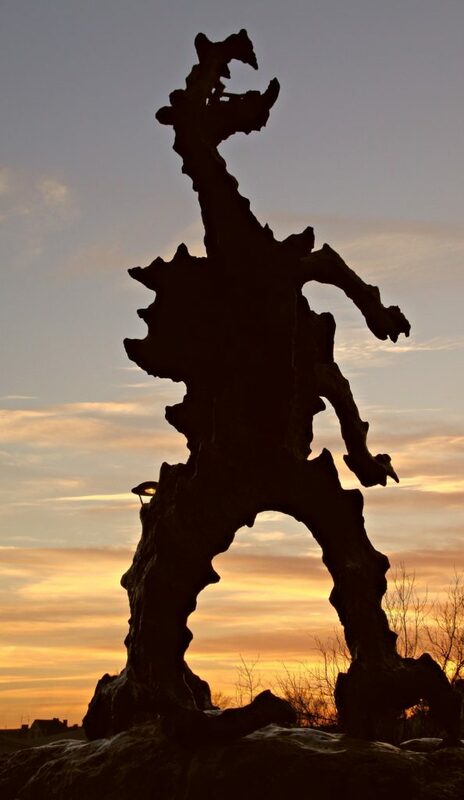 As it lies on the hill, you can also admire the Kraków from above there, see the statue of a legendary dragon or relax by the Vistula river, which is nearby. When spring kicks in, lots of people occupy the green space nearby the river and have a picnic. If you visit Kraków when it’s warm, that’s a great place to head to for an outdoor lunch! One thing is sure: whatever you do, do not miss out on The Wawel Castle. 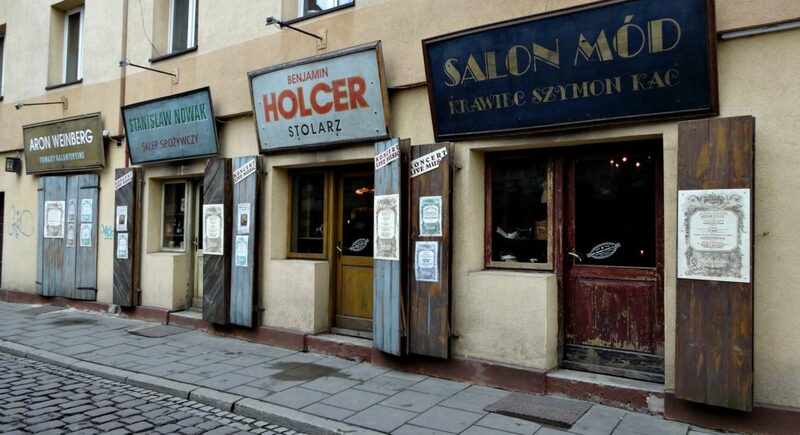 Kazimierz is the old Jewish district of Kraków. It was separated from the city by a great wall, and Jews were told to migrate there, rather than live in Kraków. 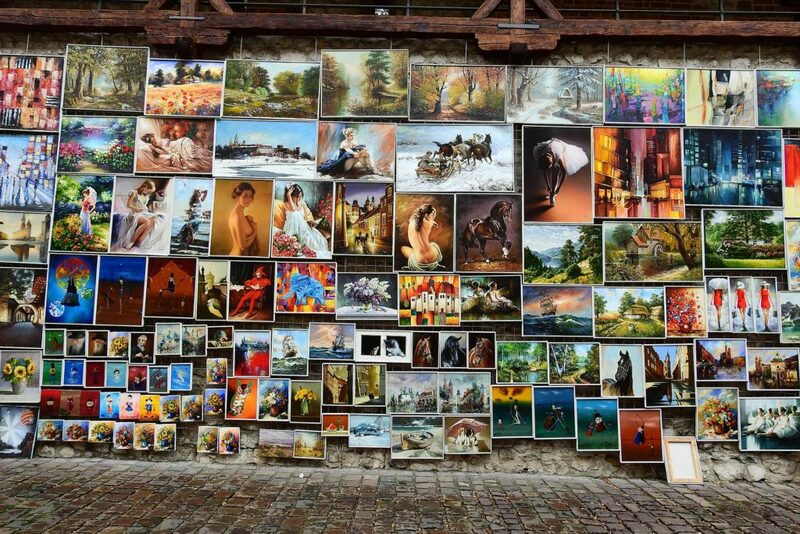 They started a vivid community within Kazimierz’s walls and up to 19th century, it was booming with vibrant life, artistic creativity, and social activity. Around that time walls were destroyed, and Kazimierz became the Jewish district. Currently, the district has started its revival and it’s full of cafes, people, and laughter. Strolling around the old streets, we are transported back in time: straight to the times when it was the lively heart of Jewish culture. Definitely a place worth visiting! Generally speaking, Kraków is relatively wheelchair friendly for a city with a medieval character. Pavements are not always even, and pebblestone is often present, especially in older parts of the city. 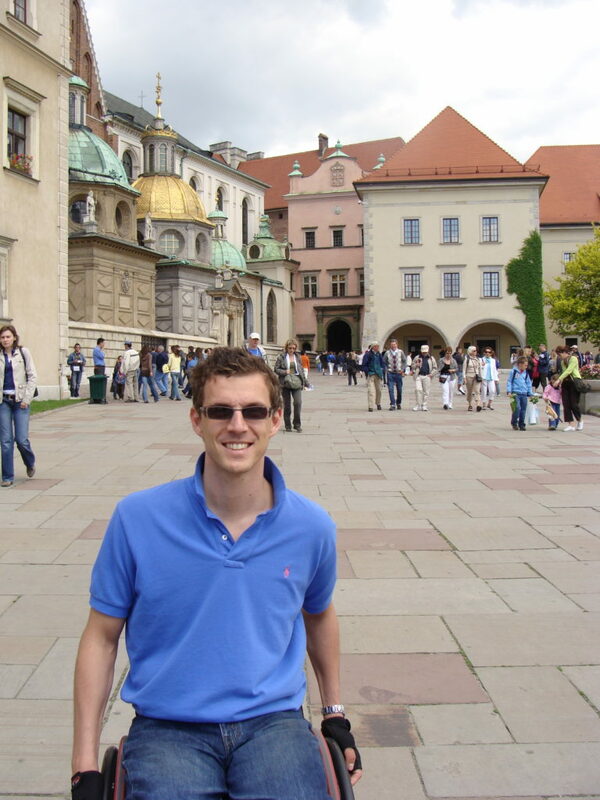 With a manual wheelchair, fully enjoying Kraków’s atmosphere could be a problem. In a city of even more medieval character – Prague – pebblestone was my worst enemy, so it’s the force to be reckoned with. With an electric wheelchair, however, especially a city electric wheelchair the situation should be manageable. After all, city electric wheelchair’s your best urban friend in every situation. 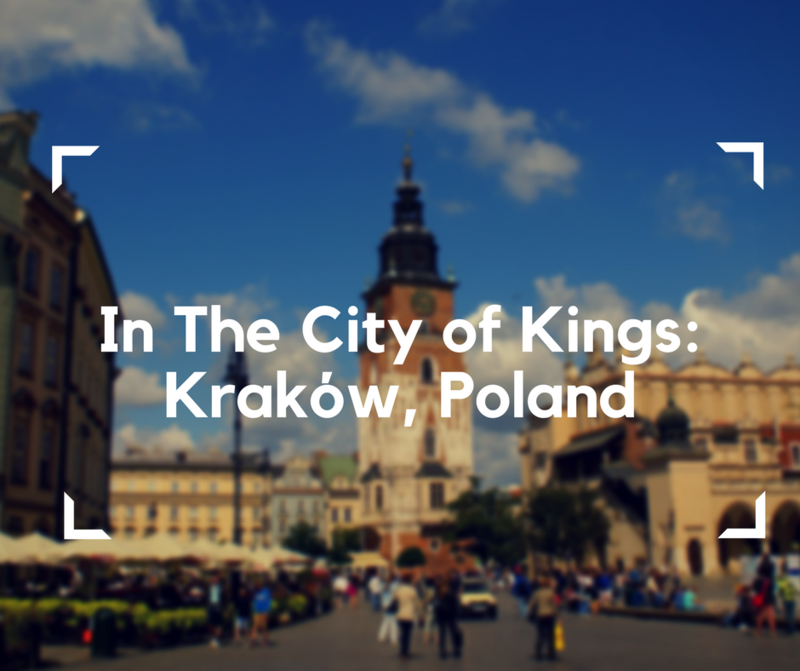 All in all, Kraków is one of these places in Poland, which you can’t miss. It’s insanely important in Polish culture and celebrates medieval history, culture, and art like no other place in Poland. In Kraków, folklore comes to life and Polish cuisine greets you around every corner. Even though sometimes the city’s too crowded and touristic, you might want to give it a try. After all, in The City of Kings, everybody can find a little bit of magic. 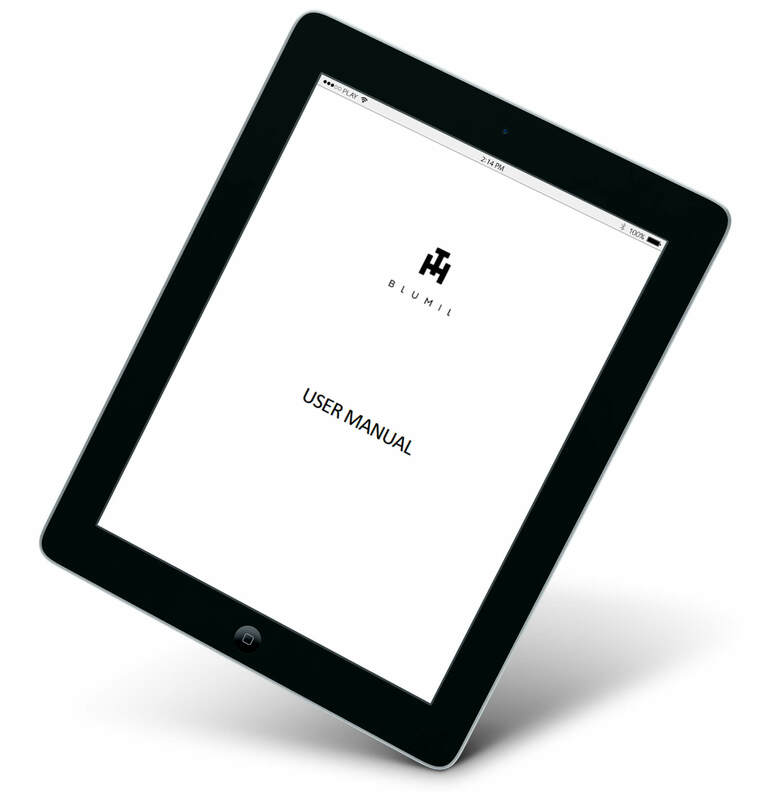 Don’t forget to check the latest Blumil electric wheelchair model – Blumil City. Why? Well, Blumil City is pavement-friendly, fast and very pretty!